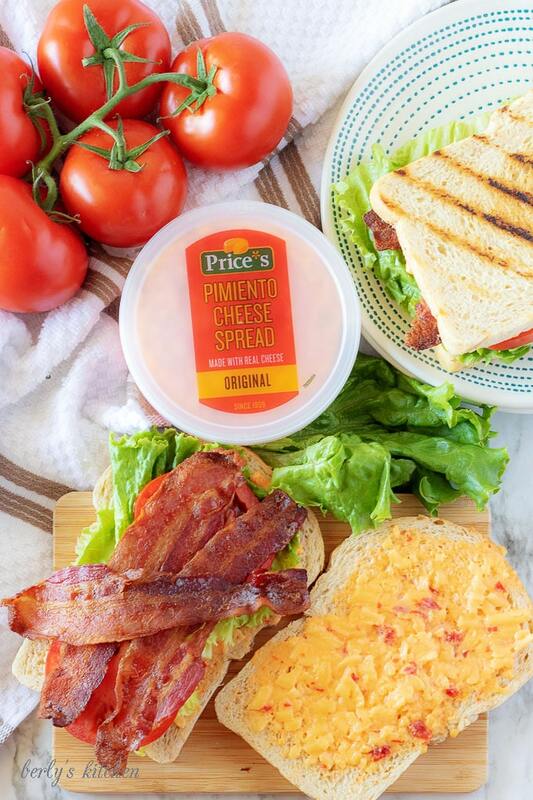 Create a delicious BLT pimento cheese sandwich using simple ingredients like bacon, lettuce, tomatoes, and Price*s Pimiento Cheese Spread. 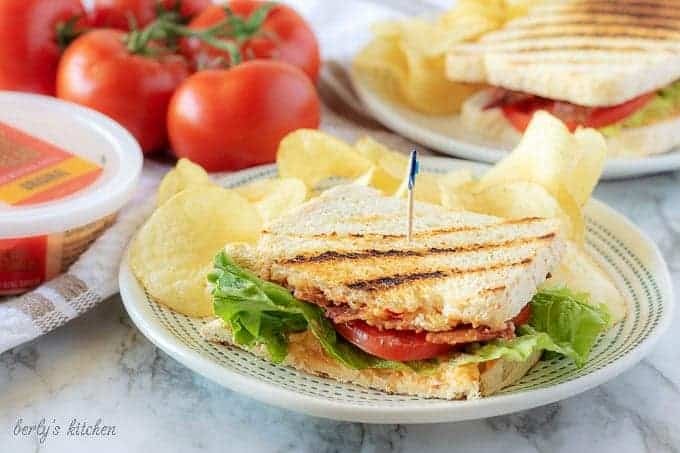 Who doesn’t love a simple BLT? Honestly, I haven’t met a person yet that would turn down this classic diner sandwich. With that being said, there are a lot of variations on the traditional lunchtime favorite. 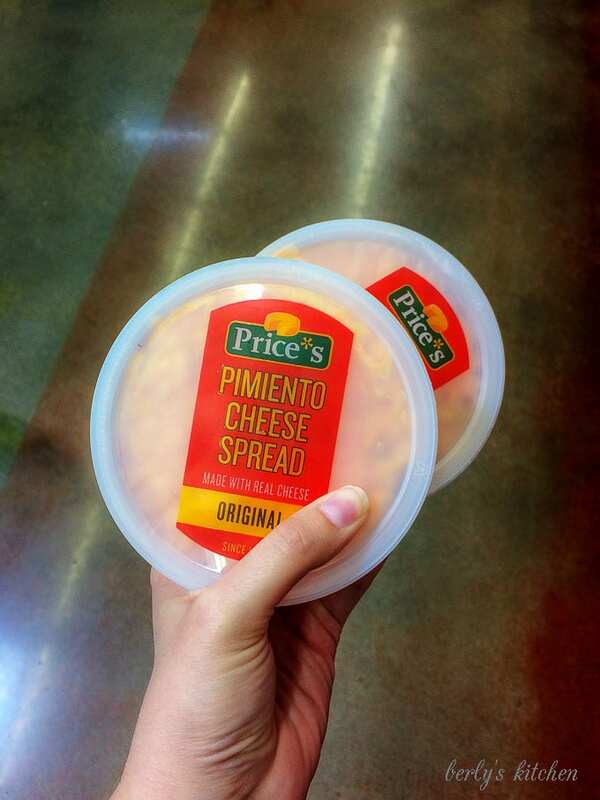 Recently, Kim and I got the opportunity to get to know Price*s Pimiento Cheese Spread. 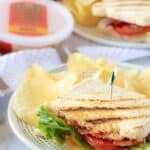 Well, you know us, we had to go to their website and take look at the company behind the original pimento cheese spread. It doesn’t take long to see that tradition is the main theme and that’s not surprising since they’ve been around since 1959. The website is easy to navigate and features tons of resources that we think you’ll find very interesting. You can learn more about the company behind the spread along with a list of all their products; like zesty jalapeno pimento spread, and Southern style cheese spread, just to name a few. There’s also a recipe section displaying all kinds of different dishes that use their tasty spreads. Best of all, there is a store locator to help you find the products they offer. That means, finding the right Price*s Pimiento Cheese Spread couldn’t be easier. For us, we were able to find the traditional, original flavor. 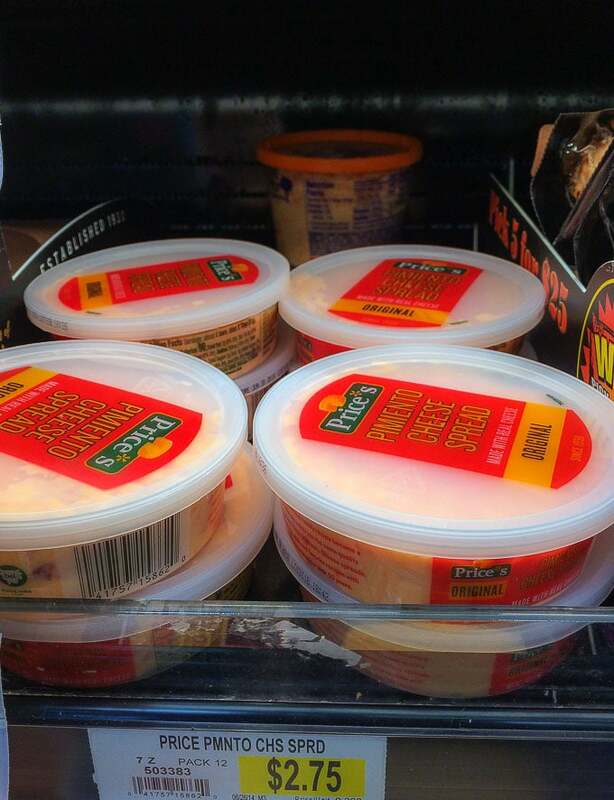 As you can see from the picture above, it’s easy to find this traditional pimento cheese spread at your local grocer. Kim found ours in the meat section, which thanks to the bright packaging was easy to locate. After a quick trip to the store, Kim and I were ready to get started creating our own unique pimento cheese sandwich. 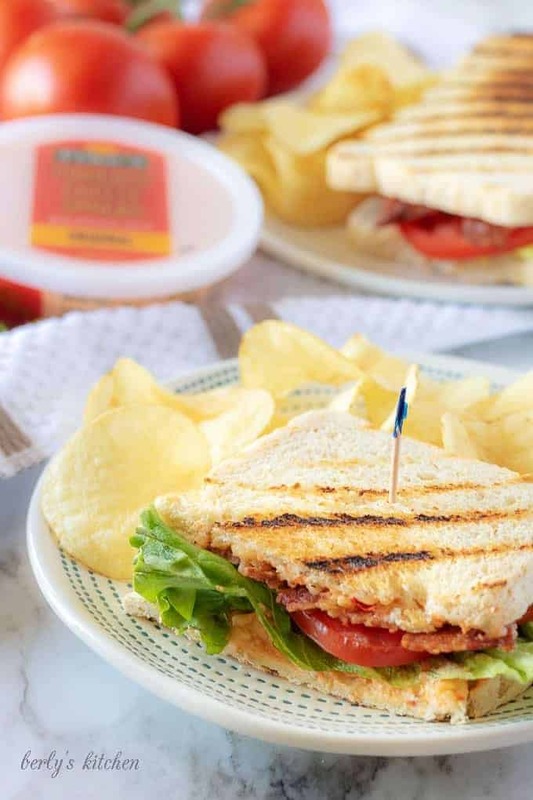 We figured, why not take a BLT and make it even better? First, start by gathering all your ingredients. I decided to use sourdough bread for this BLT pimento cheese sandwich. Go ahead cook the bacon, grill or toast the bread, and wash and slice all your veggies. The bacon was cooked in the oven on 350-degrees F. for 15-20 minutes and flipped have way through the process. You don’t have to do that way, but, the bacon seems to crisp evenly in the oven. Additionally, I have less issues with it curling up during the cooking process. As you’ll see in the picture below, I grilled my bread. Next, take about a tablespoon of Price*s Pimiento Cheese Spread and spread it evenly on each piece of bread. 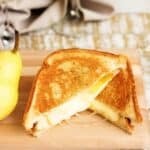 Now, if you like, you could do that first and then grill the other side of the bread and melt the cheese a little. I did that to one of the sandwiches. In my opinion, it doesn’t really change anything, so I didn’t make it part of the official instructions. After you have the slices of bread toasted, go ahead and begin building you pimento cheese sandwich. In case you’re wondering, yes, I feel there is a correct way to build a sandwich that prevents it from becoming too soggy. To protect the bread start with lettuce, then tomatoes, and finally the bacon. You may think I’m crazy but give it a try sometime and take note of the fact your bread maintains its integrity throughout the meal. 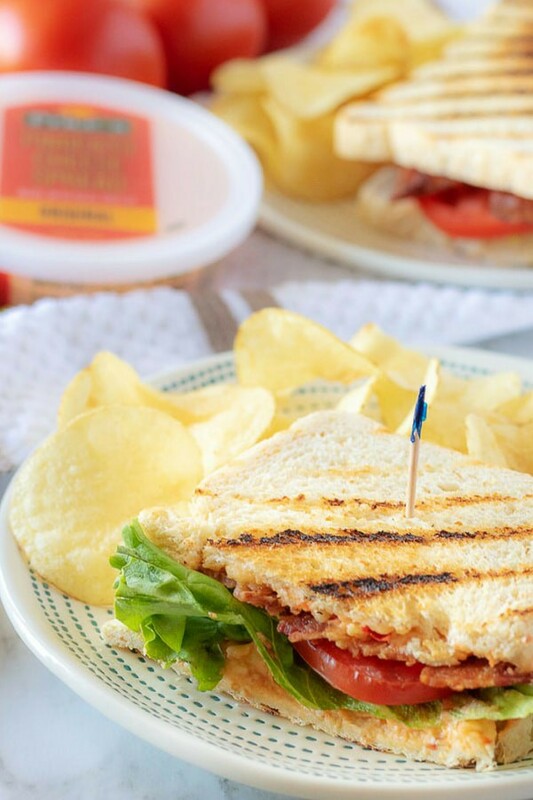 Finally, when you’ve built the BLT pimento cheese sandwiches, slice them in half. How you slice them is your choice, but bear in mind these are pretty rich and filling sandwiches so half is all you need. This is especially true if you serve them with a side like we did in our pictures. Don’t worry, the toothpick is just for presentation, I had no troubles keeping them together as I ate. My only recommendation is that you eat them within a few hours of preparation. While they won’t fall apart anytime soon, there are enough juicy ingredients that soggy bread is inevitable. In closing, Kim and I hope you enjoy this simple dish as much as we did. 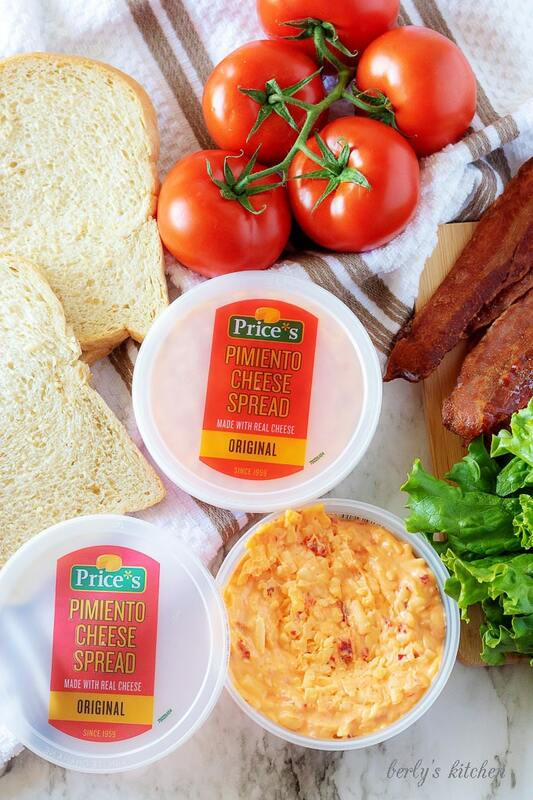 Make sure you click here to visit Price*s Pimiento Cheese Spread landing page to learn more about their tradition, their products, and more information on how to enter a sweepstakes to win Price*s Pimiento Cheese Spread for a whole year! Looking for something delicious to serve as a side? Then take a gander at our Easy Greek Pasta Salad, or our One Pot Ham and Beans! First, start by cooking your bacon, washing and slicing your vegetables, and grilling or toasting your bread. Next spread a tablespoon of pimento cheese spread on each slice of bread. 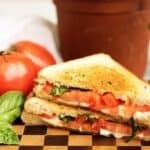 Then, place your lettuce, tomato, and bacon on each sandwich. Last, slice the sandwiches in half and serve with a side of your choice. The calories listed are an approximation based on the ingredients and do not reflect the potato chips or any other garnishments. Actual calories will vary. I would not recommend storing these sandwiches in your fridge as they will get soggy within a few hours.